Home Amex Amex Fine Hotels and Resorts Program (FHR): Is it a Good Deal? Amex Fine Hotels and Resorts Program (FHR): Is it a Good Deal? 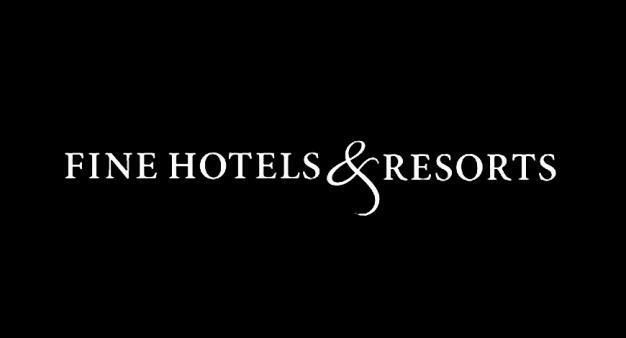 Fine Hotels and Resorts (known as FHR to Amex fans) is a luxury hotel program available to American Express Platinum and Centurion card (including business version) holders exclusively. If you are wondering why Amex platinum cards have such a high annual fee, you may find lots of its value in FHR. I am not going to write lengthy review of FHR in this post, but will give you several examples to illustrate the perks of FHR. Believe it or not, booking through FHR is probably the best way to book luxury hotels. Although sometimes you may find it affordable (with less than 300 US dollars charged to one night), I suggest you forget about saving money if you are going to use FHR. FHR has its own list of luxury hotels worldwide, and this list may change from year to year. Only those highly-rated luxury hotels will stay in the program for the long term, which means you can have your faith in the quality of those hotels. With the room upgrade feature, I always booked the cheapest room type (well, the cheapest Ritz-Carlton room is still more expensive than a suite in a Marriott Hotel), and let the platinum concierge and the hotel front-desk figure out which room they will have for you. 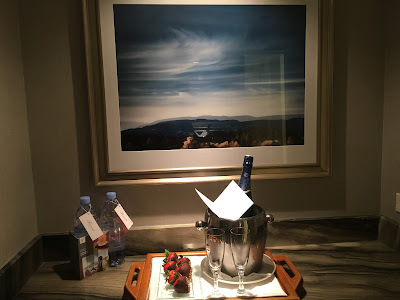 Last time when I was in Vancouver, I was upgraded from a no-view room to a room with harbor view at Fairmont Waterfront, and when I stayed at the Fairmont in Seattle, I was offered an upgrade to the executive suite. Those upgrade can always surprise you during your trip. The nice thing about FHR is, you can still have your membership benefits if you have the status. I received welcome gift at every Fairmont property that I have stayed because of my platinum status.Of course, you can also earn SNP (stay, night and points) towards your membership if you stay with top-tier chained hotels (Ritz, St. Regis, and so on). Complimentary breakfast for two people is the second perk that I really value. Most of the time you will have to pay around 30 US dollars per person every day if you stay at those luxury hotels, but FHR has the breakfast covered. Luxury hotels may not have the best-rated restaurants if you want to try something different in a new city, but breakfast at those hotels have their consistency in terms of flavor and quality. The dining and SPA credit is a bit tricky: I usually looked through the review of the hotel restaurants on Trip Advisor or Yelp before making the decision to use FHR. This strategy turned out to be very successful because every time I was happy with the food I had in the hotel. 2) You don't have the status with chained hotels but do want to have the privileges. 3) You want to make the hotel simple but enjoyable. American Express Platinum Card: You will have 60,000 membership points of welcome bonus (that is 10,000 more than official offer) if you spend 3,000 Canadian dollars in the first three months after approval. American Express Platinum Card-Business version: You will have 75,000 membership points of welcome bonus (that is 35,000 more than official offer) if you spend 5,000 Canadian dollars in the first three months after approval.